2017 has not been a good year for the dollar. Despite traders brimming with optimism after Trump got elected, and the Fed’s best efforts, the dollar is at its lowest in ten years. As the year comes to an end, it’s down more than 7% compared to other key currencies. Weak inflation and doubts over Trump’s ability to deliver on his legislative promises have contributed to the greenbacks’ decline. This, together with strong economic growth and strict monetary policies in the global economy, have played a pivotal role in the dollar’s weakness. On the bright side, because of their unique seesaw relationship, this means good news for gold. As the graph below shows, when the dollar goes down, gold goes up. Gold went up this year due in large part to the dollar going down in value. And that trend is expected to continue into next year. [The economic growth] we’re seeing in Europe, emerging markets and the rest of the world will likely cause the dollar to sell off again. The world economy is expected to grow by 3.7% next year. And it’s for this reason analysts expect the Fed to turn their attention to the European Central Bank and the Bank of Japan. Most of the people that we talk to wouldn’t be terribly surprised if, by the end of next year, the dollar was substantially weaker. 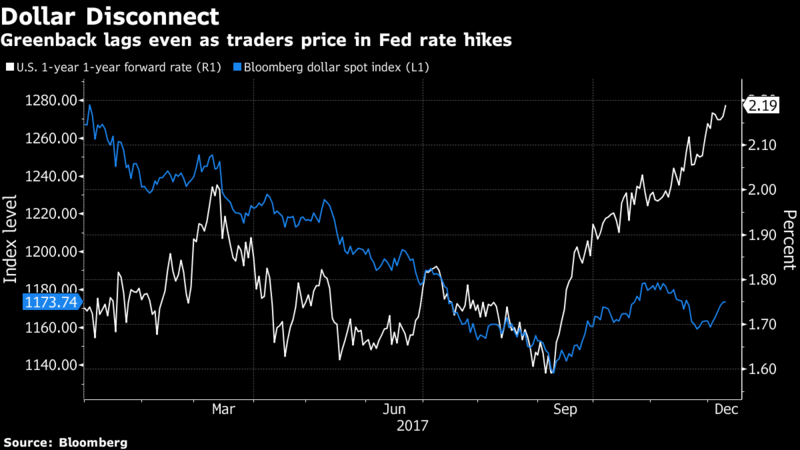 Trump’s flagship tax bill just passed this week, and some expect the new law could buoy the dollar at the start of the year. But while this is a possibility, the tax bill’s potential dollar-strengthening effects aren’t expected to last longer than six months – if even that. In fact, there could be no lasting effect on the dollar at all. At this point, the dollar decline seems to be a trend that will continue through next year. 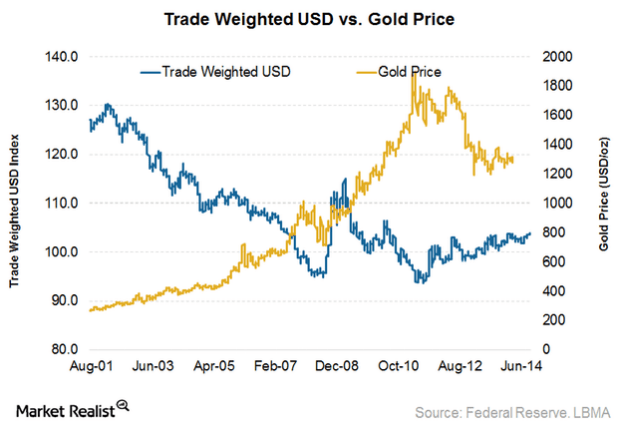 Since the end of the gold standard in 1971, a falling dollar has had an inverse relationship with gold. 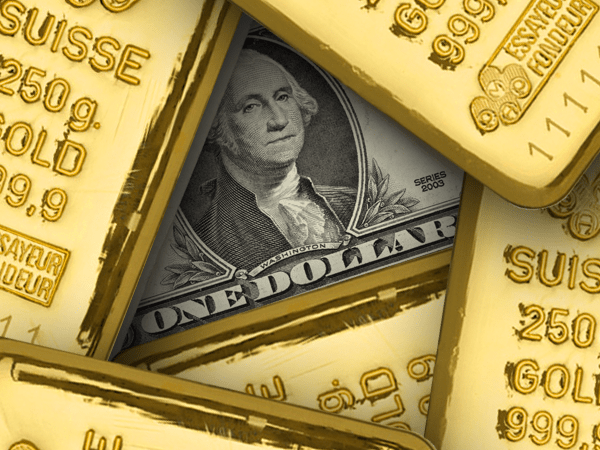 With experts predicting the dollar to fall further next year, investing in gold now could give you a handsome return over the coming months. And the quicker you act, the bigger the payoff could be.